Taylor Swift is famous for her long roster of ex-love interests, but there’s one singing partner she can’t seem to quit: goats. Last year the Internet went crazy for a mash-up of Swift’s “I Knew You Were Trouble” and the melodic bleeting of goats. 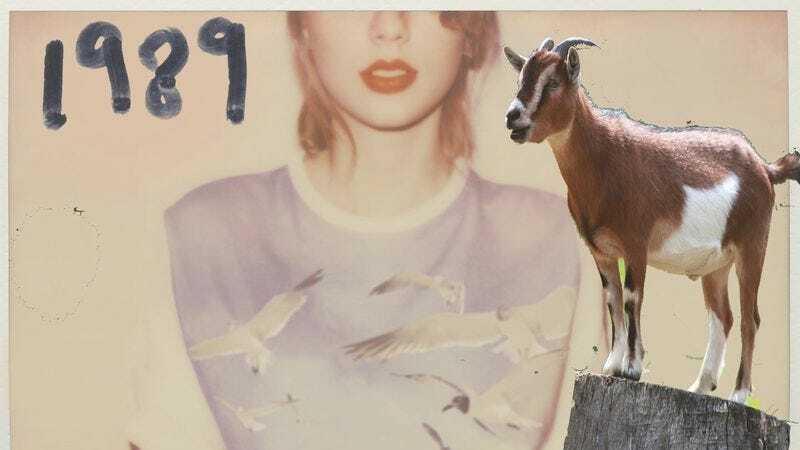 Now a new video reunites Swift and her ungulate cohorts for a duet on “All You Had To Do Was Stay” from her new album 1989. If Swift’s management team is smart they’ll market her new album not only to (human) teens, but to (goat) kids as well.